Each cupcake had its own 2D topper reflecting an aspect of the story, including weaponry, Hobbit hole doors, elfish lore, Smaug the dragon, Gandalf, and the one ring. This “Fifty Shades of Grey” themed cake was ordered for a wedding shower. 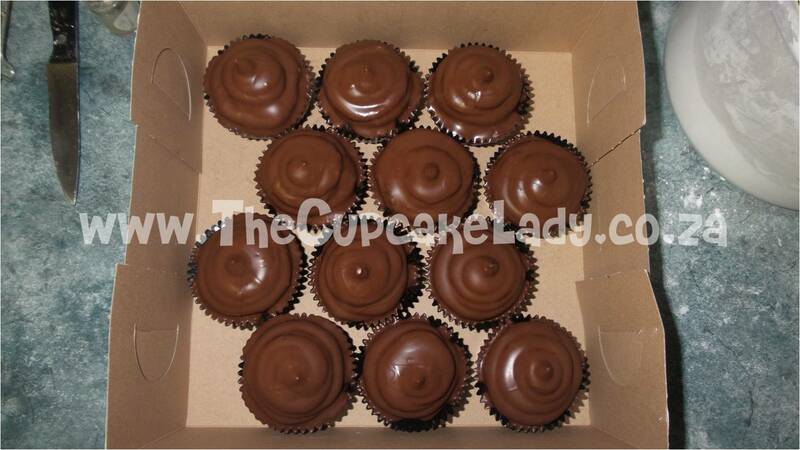 Its layers of my delectable chocolate cake and chocolate butter icing, covered in a light grey sugar paste. The bottom tier is decorated with a stylised corset, and I used the red laces to break the monotone of the grey, and the top tier is ringed with a sugar paste tie. 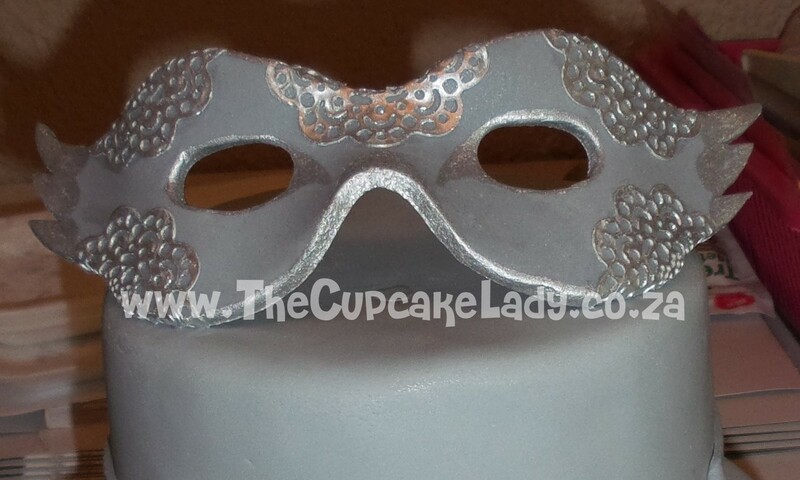 The sugar paste mask is decorated with edible lace thats been dusted silver. 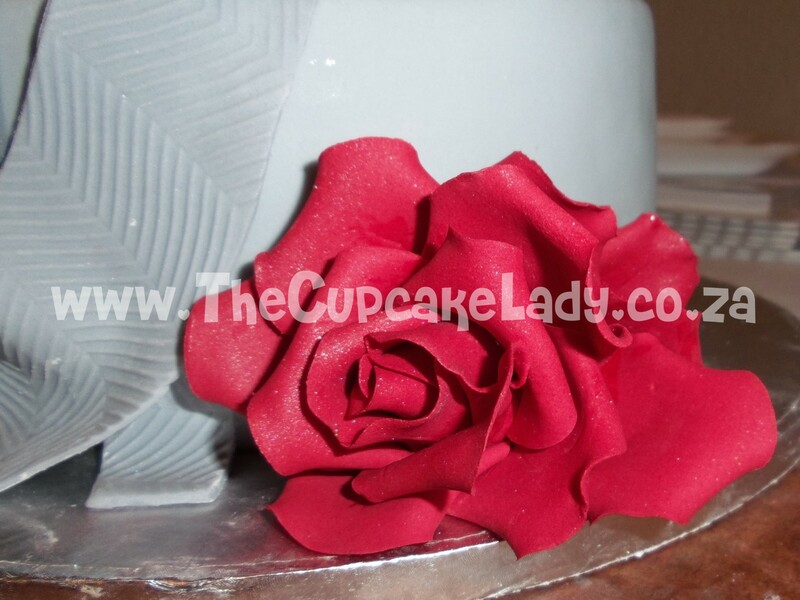 The rose is sugar paste. The cuffs are made entirely of sugar paste! 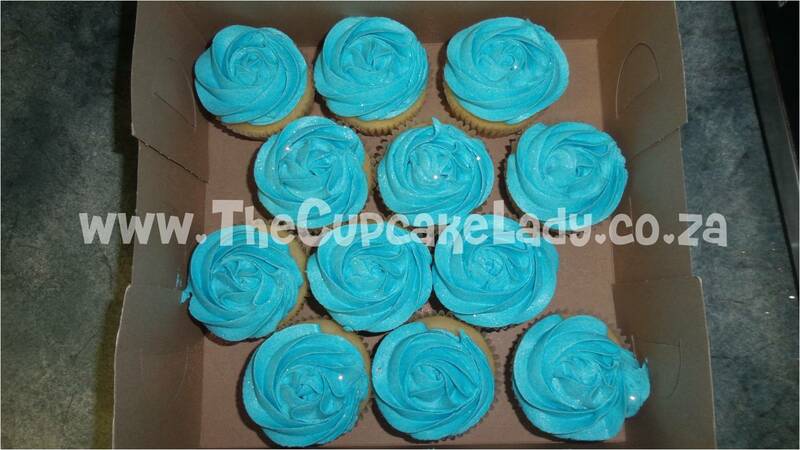 When Bianca was getting married a while ago, Carissa ordered cupcakes from me for her wedding shower. They agreed back then already that when Carissa got married Bianca would return the favour! 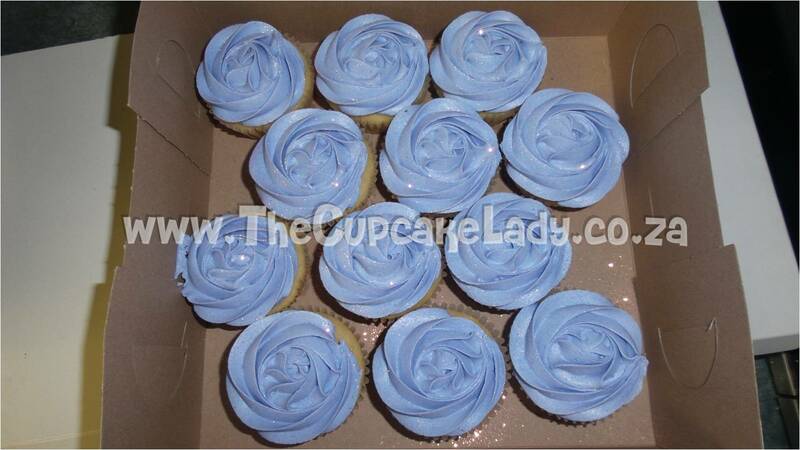 Bianca ordered an assortment of cupcakes including chocolate covered Oreo cupcakes, vanilla cupcakes- some with a turquoise vanilla butter icing rose swirl and some with a purple vanilla butter icing rose swirl. 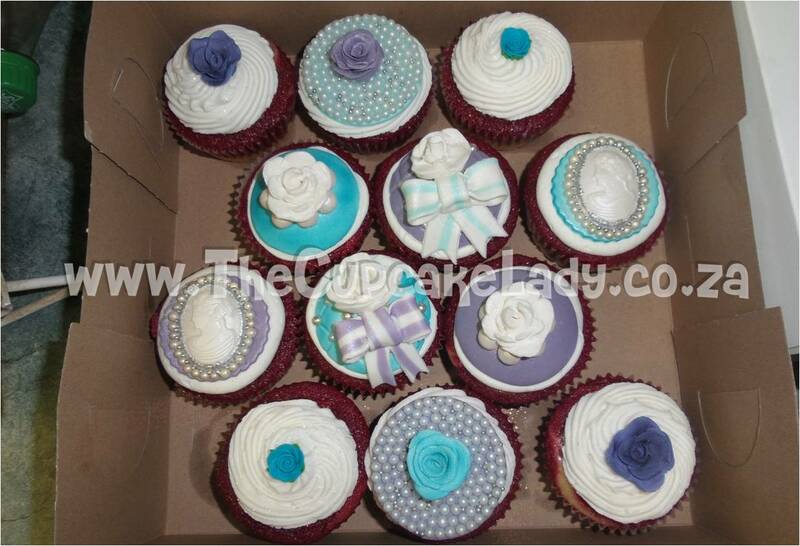 She also ordered red velvet and vanilla marble cupcakes with white vanilla butter icing, to be decorated with vintage-themed, sugar paste cupcake toppers, also in turquoise and purple colour scheme. 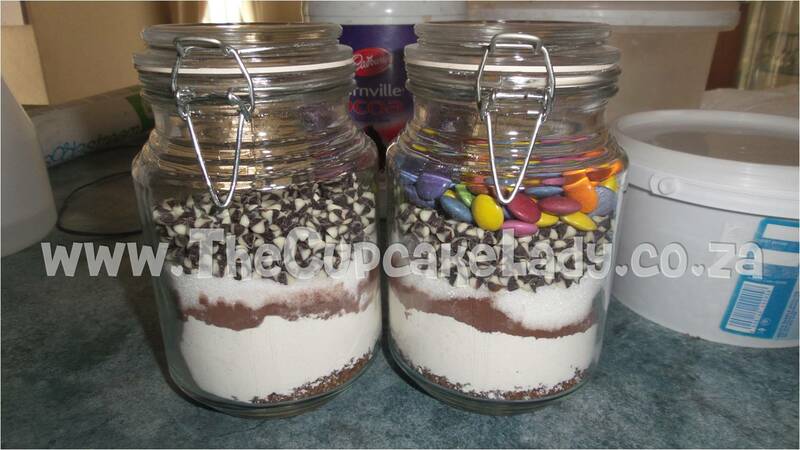 Comments Off on Chocolate Brownies In-A-Jar! This is my latest offering and it is perfect for party favours, wedding favours, corporate gifts, gifts for teachers… just about anyone would enjoy getting one of these! 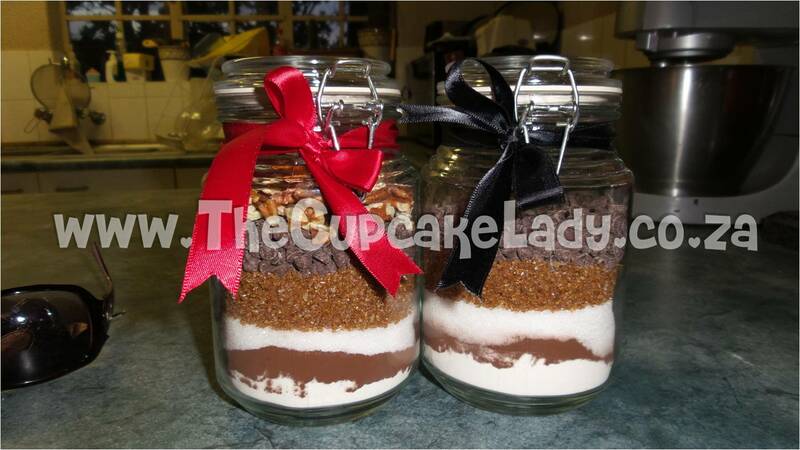 The jars will have a sticker on them bearing my logo and the baking instructions, and you can then add your own message tag to the ribbon (which I can also match to the colour of your choice as closely as possible). The stickers can also be customised- to a degree- to include a personal message along with the instructions. These brownies are super easy to make, with a yield of between 10 and 12 cupcake sized brownies. Personally, I like making brownies in cupcake trays because then all my brownies have that divine crispy outside and a gooey inside, and these jars are not big enough to fill a more traditional brownie pan. 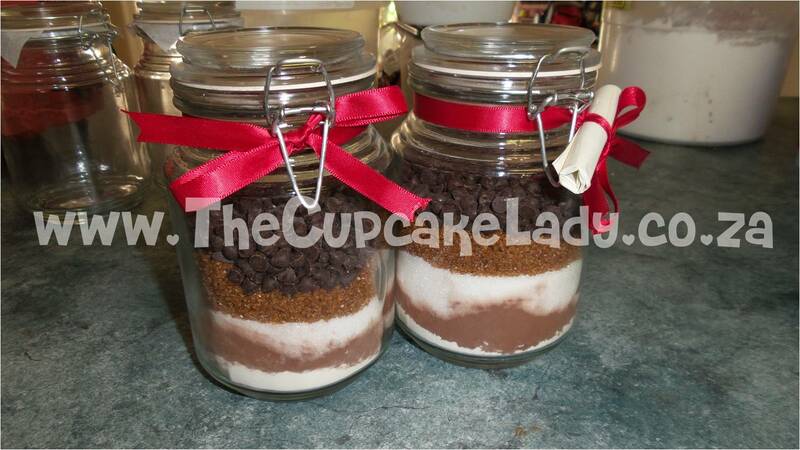 The prices for the various brownies-in-jars can be found here: Cakes, Cookies, Sweets. Laura’s bachelorette party on Saturday required some simple decorations but a very special recipe. 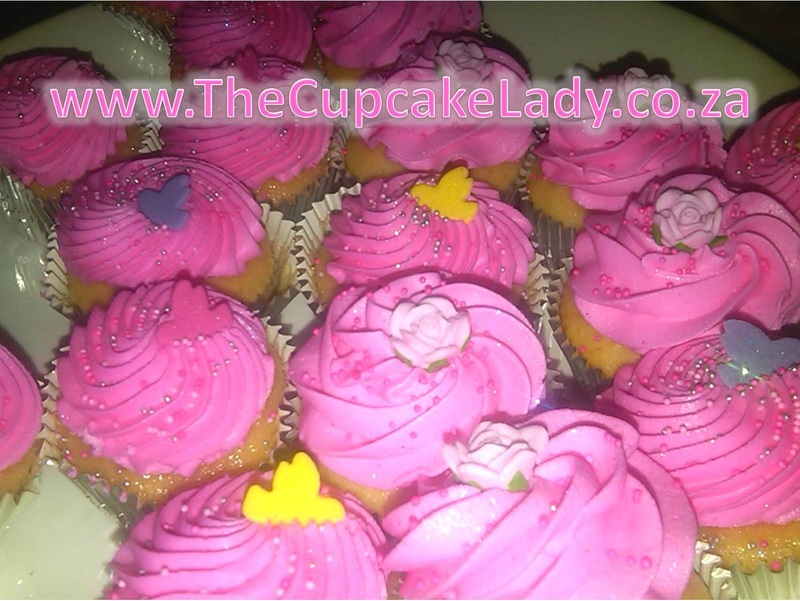 I made regular vanilla cupcakes and topped them with a bright pink vanilla butter icing and little punch-cut sugar paste birds, and I made gluten- and dairy-free vanilla cupcakes topped with a bright pink vanilla “butter” icing and little pink sugar paste roses. I forgot to photograph them though, so the picture is a cellphone shot taken at the party!